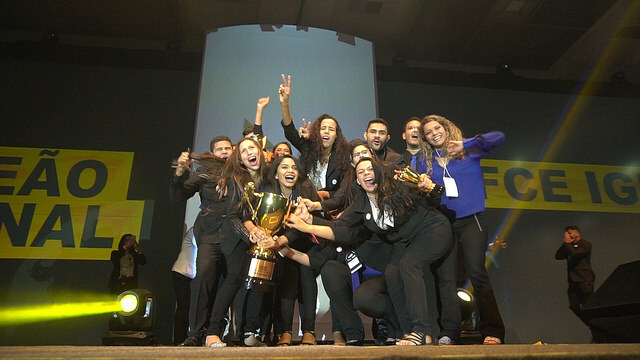 When the two-day Enactus Brazil National Competition kicked off on 20 July in Rio de Janeiro, more than 2,000 supporters came together at the Sulamerica Convention Center to celebrate the accomplishments of the past year and select a national champion team to represent Brazil in the upcoming Enactus World Cup in London. But, as you’ll see below, the event was so much more than a competition, giving all involved the opportunity to network, learn and explore the potential of social entrepreneurship. Let’s start with the competition: 58 teams came to Rio ready to share the impact they had using entrepreneurial action, with another 18 teams there to observe and learn. In the opening round, 89 executives serving as judges selected the semi-final teams, which went on to present to 58 semi-final round judges in hopes of being named one of the final five teams. 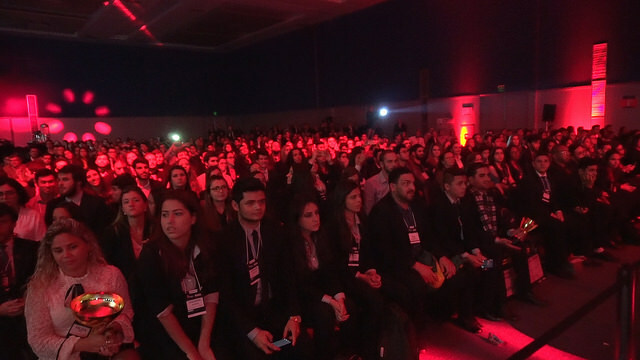 Those judges had the difficult task of selecting the finalist teams, which had the chance to present to all attendees on the main stage, including 50 of the country’s top business leaders serving as judges. Rubens Passos, President at Tilibra, Cláudio Irie, President at Rich’s, and Pablo Vera, Head of Learning and Development CEO for Latin America at GE are just a few examples. 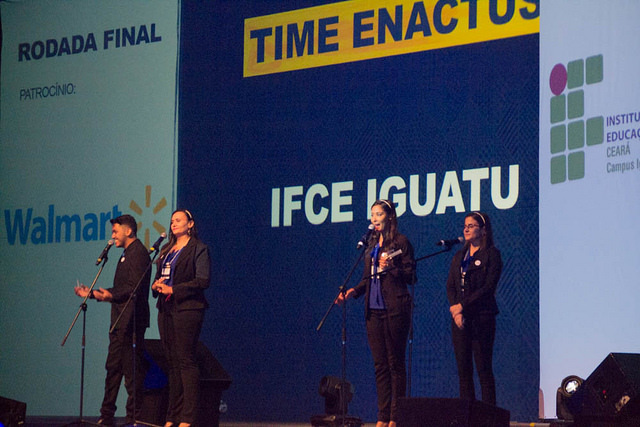 In the end, judges selected the team from IFCE Iguatu as the national champion, making an impression with their low cost and adaptable irrigation kit that has dramatically improved lives in the rural community they worked with. 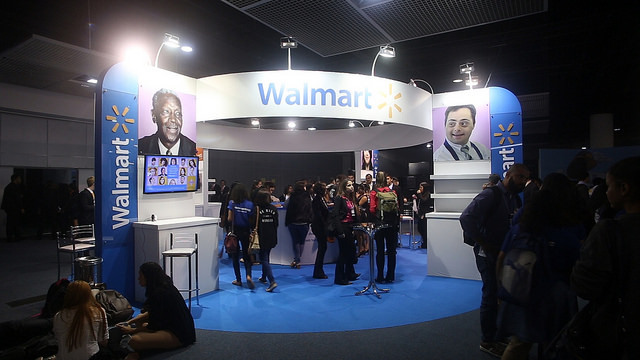 This year, Enactus Brazil upgraded the traditional career fair model, transforming that opportunity into Innovation Stations, where 11 companies, including BIC, Cargill and Microsoft, had the chance to showcase their mission, vision and career opportunities with attendees, allowing for meaningful connections and dialogue. Check out this great video from the live stream that day! 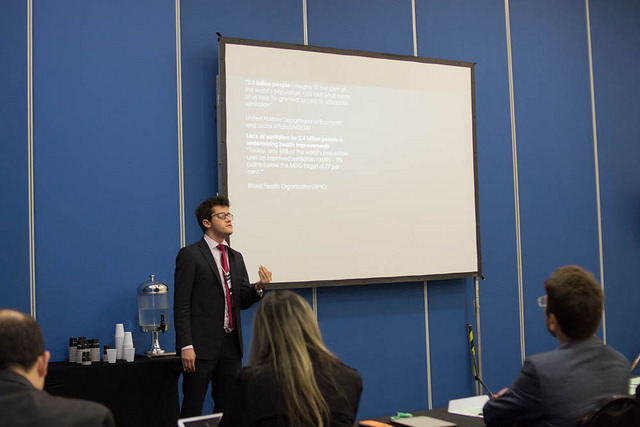 Another highlight of the event was Enactus Brazil’s National Symposium of Social Entrepreneurship, which saw 87 papers presented on this important topic. 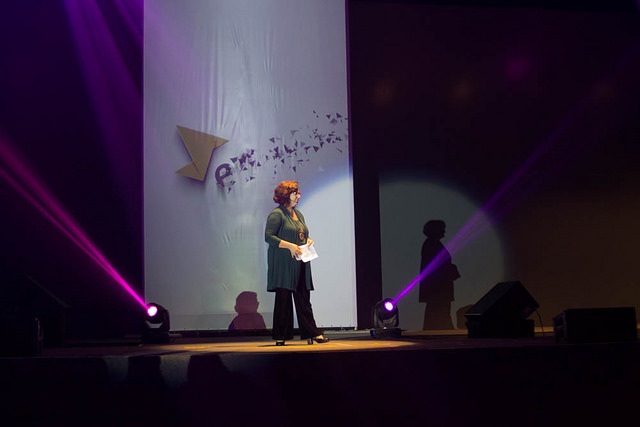 Faculty advisors from 25 Enactus teams served as the judges of the event. There was also an inspiring panel discussion, where five of the country’s great entrepreneurs were invited to share their personal experiences with attendees, highlighting the opportunities and challenges along the way and inviting all involved to dream big. Panelists included André Peixoto, Executive of Leader; Heitor Castro, Founder of Mais que Musica – Digital School of Music; Monica Villarindo, UNV Associated Partner; Sandra Costa, Co-Founder and Chairman of the Board, Sabin Group; and Marcos Cavagnoli, Head of Brazil, 4Finance. 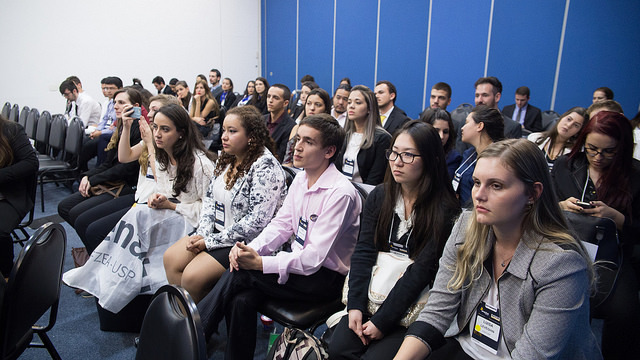 Translation: Monica Villarindo, #UNV Brazil, talks about the Program and her #voluntariado experience at the #Enactus Brasil National Event. Attendees also had the chance to hear an inspiring keynote address from Bernardo Rocha de Rezende, better known as Bernardinho, former player and Brazilian volleyball coach, a champion with more than 30 titles over the course of his 22-year career coaching the Brazilian women’s and men’s national teams. He shared his thoughts on leadership and team work, and how as entrepreneurs with the shared goal of building a better world, we can achieve our goals with excellence despite challenges. 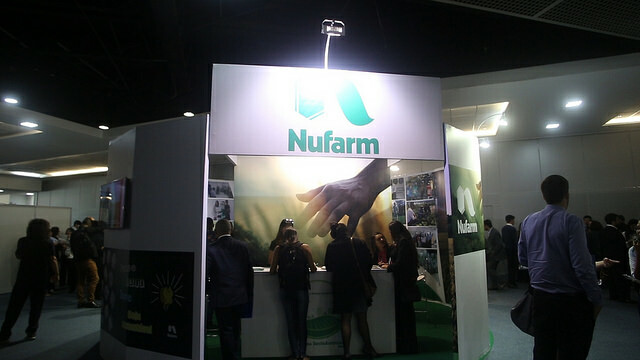 Translation: And our keynote speaker of the Enactus Brasil National Event this year was nothing less than Bernardinho !! An incredible person, a true supporter, enthusiast and a true leader. Translation: Bernardinho is here !! 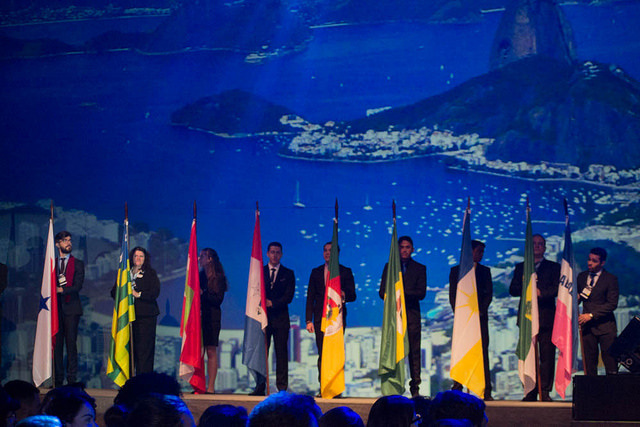 Here’s a great video from the Enactus Brazil National Competition – don’t miss it!